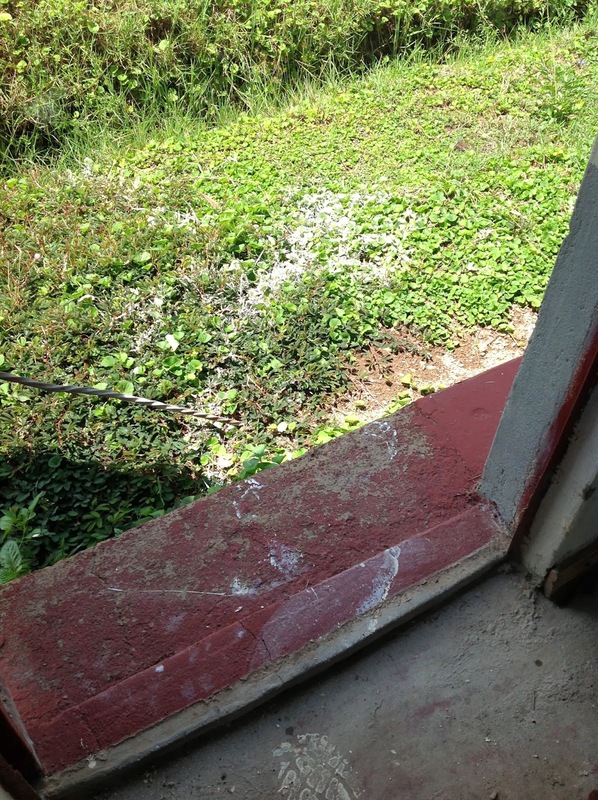 HOSPITAL FUND REPORT AND THE DREADED PAINT CATASTROPHE!! We administer two hospital funds. One of them is a partially self-sustained one which is made possible from money that the cash crops on the farm raise and an occasional subsidy from us. This fund is used for medical transportation and minor treatment for the destitute widows. Another fund, made available through funds donated to the ministry, provides general medical care and hospitalization; the recipients are decided upon by the leadership of Restoration Community Church (RCC). Recently Violet gave us an update on the use of that fund; it follows. - A twelve-year-old (one of Saturday's orphans) taken to hospital. The total expenditure for these services was: 24,200 KES ($285, £182). A while back Marty said she would tell you of her dire experience while painting the rooms in the farmworker's house. Here it is! 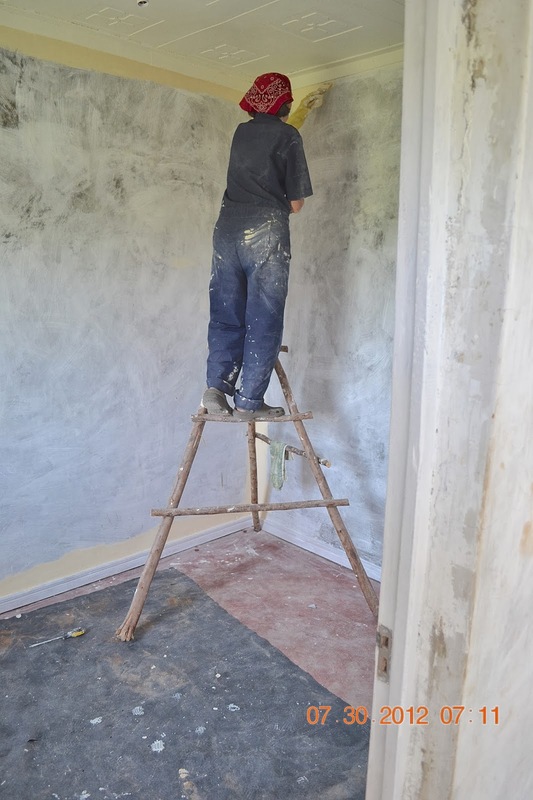 She had a BRAND NEW can of paint, John had bought her a real ladder; aluminum (aluminium) with steps and a shelf to hold the paint and brushes, and she was ready to go. (Sorry no photos of new ladder.) It is unheard of for a woman to paint; they are impressed and amazed that Marty "knows how" to do it. Folks are more or less accustomed to her coveralls and red bandana by now. That day she had a shadow. Johnfred's son, Shem, was following her around and sticking to her like glue. He is learning English, but is a bit shy and wouldn't speak - in English or Luo or Kiswahili. Marty would talk to him, give him tasks to do or he would follow her around as she had to do various things in connection with the job. He understood, but he just wouldn't talk. It was good experience for him to listen to a mzungu (white person) speaking English. Well, she got a bit lazy. Therein lay the root of the problem! She climbed down to move the ladder, but didn't take the paint off the top. 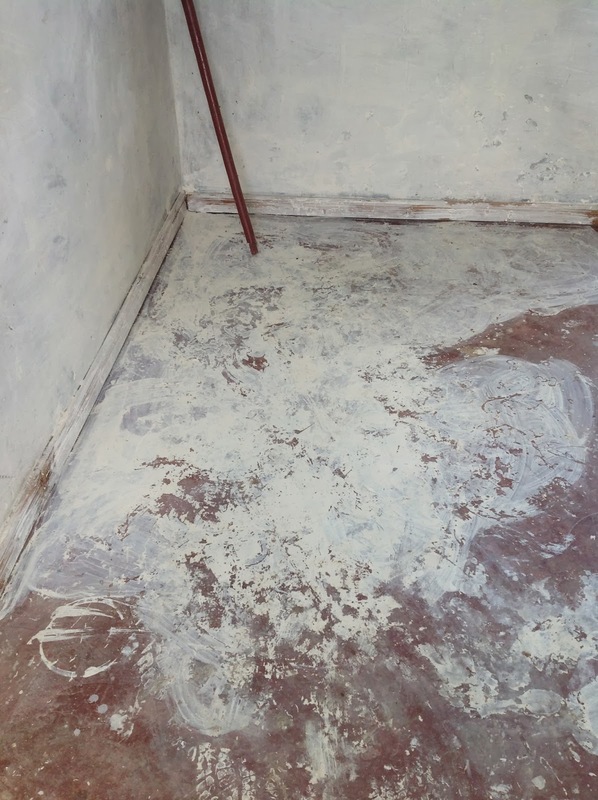 The vibration of the move caused the WHOLE CAN OF PAINT to move to the edge and tip over - all over Marty, her new sneakers (trainers), the ladder, floor and up the walls. She let out a scream; all the men came running thinking she had fallen off the ladder; Shem jumped up and everyone tried to console her and begin the clean up. She chased the men out, took off her ruined shoes, and began to try to clean up and save as much paint as possible. 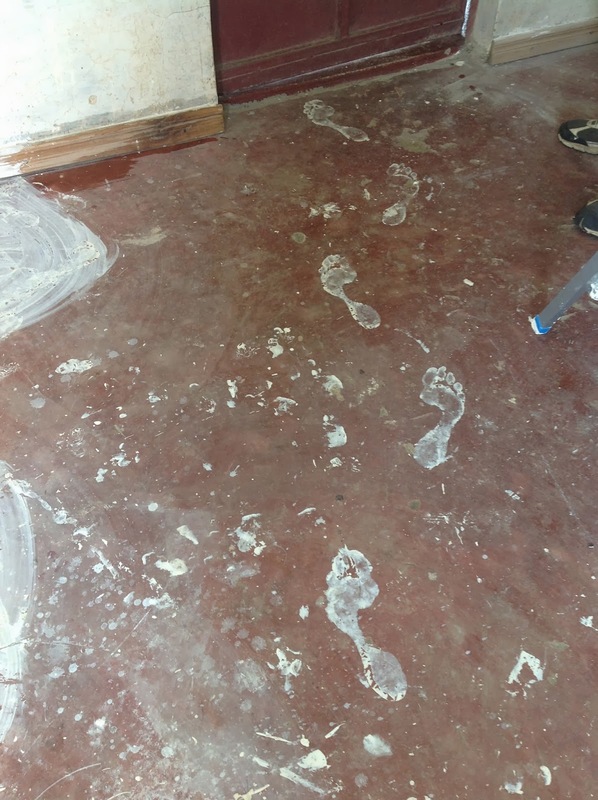 A can of spilled paint on a concrete floor is very, very slippery. So as she was cleaning up she began to skate about a bit to entertain Shem. By his expression it was clear that the lad was quite bemused over this woman and her antics. He kept trying to help and she kept trying to stop him, for she knew he would get paint on his school clothes, etc. He wouldn't listen, and of course got paint on himself. A couple of days later she spoke with his father about the incident. Apparently when he got home he wasn't so quiet about the whole thing. He had the family in stitches and horror telling them of the incident and how he saw the can getting ready to fall. They all jumped on him and asked him why on earth didn't he tell her, and the poor little guy said "I wanted to, but I couldn't remember the words in English". So goes life in Kadawa and some of the things that make it funny, fun and memorable. Shem will remember it for the rest of his life, and Marty wasn't in trouble for letting him get paint on himself. 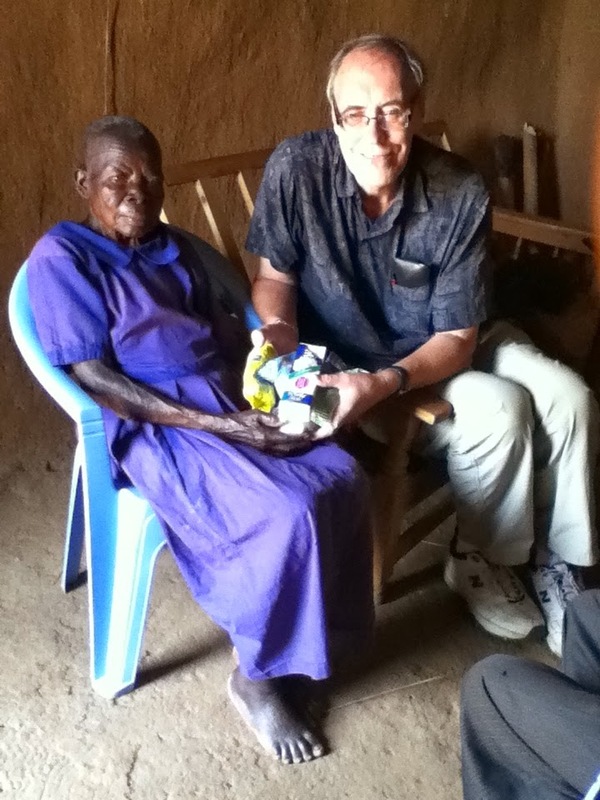 It has become a necessity for John to take management trips to Kenya in January of each year. It's essential in order to keep the various projects on track. He accomplished much in a short time this year, but it surely tired him out. At the end of each day he was glad to have a meal and rest. One night he was asleep at 8 PM and didn't wake up until after 6 the next morning. Christmas is not celebrated in the village like we do in the West. There is no money for gifts. The normal way of celebrating Christ's birth amongst the church members is to gather together for a church service and have a large communal meal - paid for by the church. We were given some sponsorship money to use to benefit the widows for Christmas and the decision was made to give them food parcels. John and Johnfred - our Widows' Farm manager - went into the city and purchased the items. We were able to bless 23 widows with 1 kilogram of sugar, a large bag of salt, a large bag of tea leaves and 3 bars of soap (used for laundry and washing dishes). These are all luxury items for these ladies; things that are, financially, very difficult for them to purchase. Prisca (an area cell leader) and John went to visit Magdeline Awiti, an old house-bound widow, in her home to distribute a parcel. John happened to asked Prisca how valuable these gifts would be. She said Magdeline would not have purchased tea for a long time and it would have been many months since she had a drink of hot tea. These items were an exceptional Christmas gift for the widows. We were given a sum of money to be invested toward micro-finance businesses. Rather than use that money to start new businesses we have started a credit union with the primary purpose of lending money, at a low rate of interest, to members with established micro-finance businesses to enable them to increase their businesses. Some individual loans have been given out. When John was there in January he was able to see first-hand how this has benefited Sara, one of the women who received a loan. She is a tailoress. January is the season for making school uniforms and she was able to buy bolts of fabric in bulk which enabled her to make many uniforms, benefitting her business greatly. The credit union is also giving out "group loans" to members of. A group of 10 members can apply for a group loan and use part of it individually to benefit their businesses. We have trained them in this procedure, called "table banking". Under specific terms, the entire group is responsible to pay back the loan. 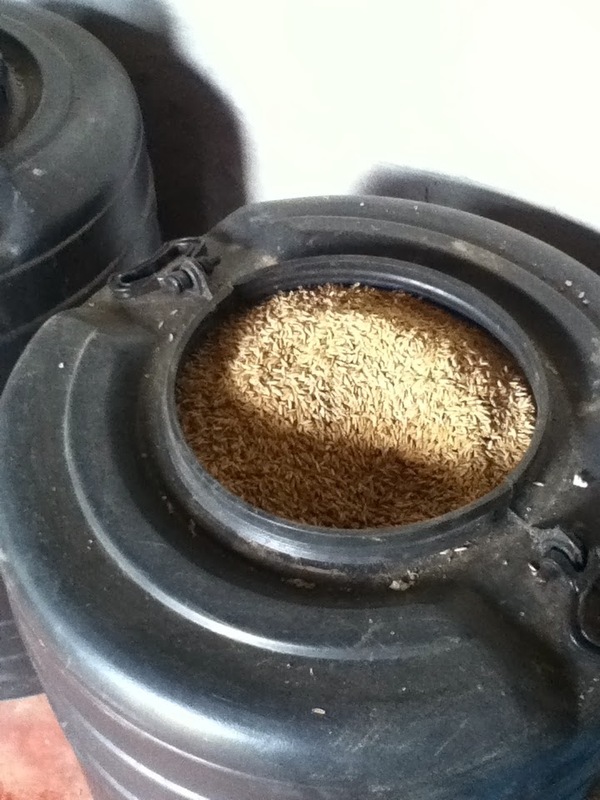 In September we told you that we were experimenting with growing rice. Our first venture, supervised by Johnfred - our farm manager - yielded a fabulous 500 pound harvest. We have now planned to extend this project in a suitable area of the farm. That is really exciting! We don't know anyone in the village who grows rice! Another crop to feed the widows!!! How exciting for John to actually see the area of vegetables growing under the system installed a few months ago. The system is running well, using water from the well we dug, which is pumped up to the tower we built and is used to water the veggies systematically. 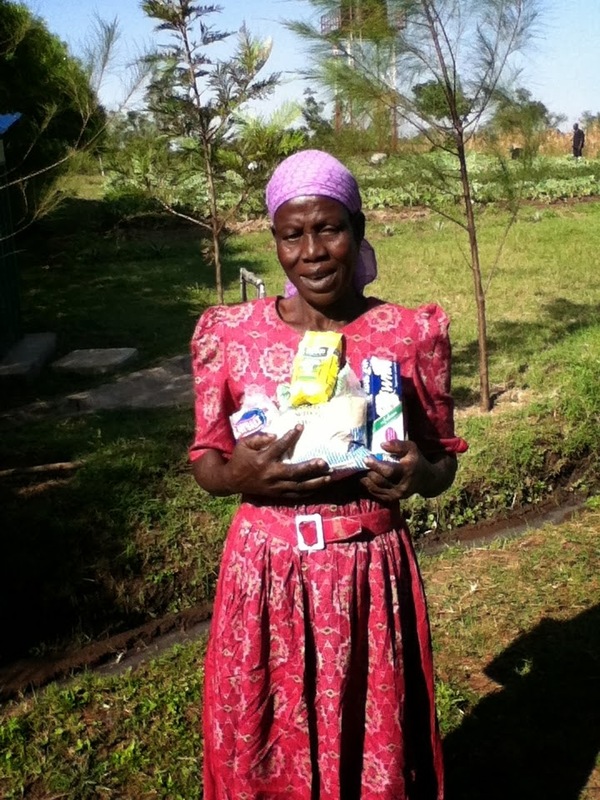 Kale, spinach and sweet potatoes are flourishing and the destitute widows are receiving a monthly supply. Additionally, some have been sold to provide a hospital fund to help destitute widows if they get sick. Please note that we also have a general hospital fund for use in emergency by members of the RCC churches, which includes all widows and also orphans. In the photos you can see the drip lines going along the rows. You can also pretty much see how large the patch is as it runs all the way to the water tower. An adjacent parcel of land to the widows' farm, behind the farm-worker's house and store, has become available. We have initiated the process to get the exact details of acreage and boundaries from the Land Registry in Nairobi before we enter in to negotiations with the owners. 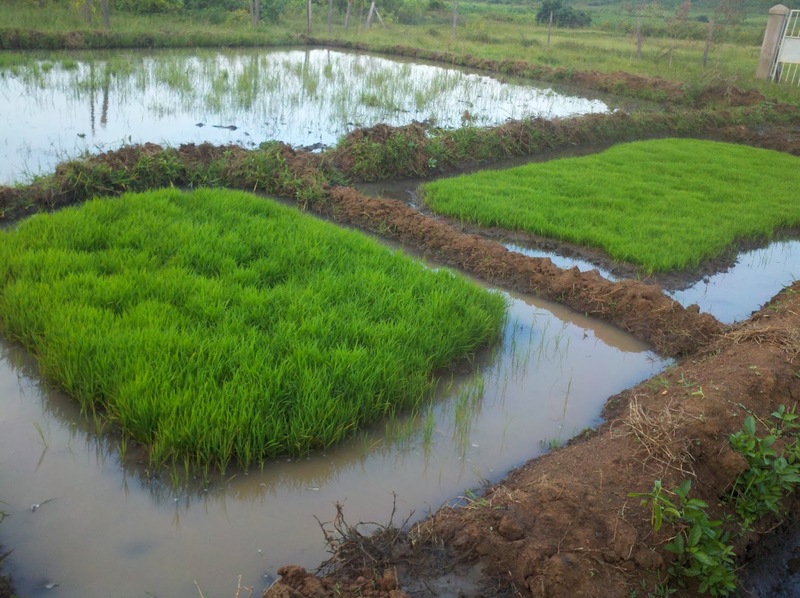 A good portion of the farm-land has been cultivated and we are looking to future development. In the picture of the kale, above, you can see the house behind which the land is located. Also, here is a picture of kids who were shepherding their cows on that land when we had the widows' party last year. They came to the fence looking in at the festivities. There was plenty of food left to feed them as well. Most likely the largest and healthiest meal they had that week. Please note that on the right side column of the newsletter there is now a PayPal button by which you are able to make donations on line if you so wish.